Enkamat innovative products provide maximum protection for natural turf fields in high traffic areas. Over thirty years ago Colbond's first three-dimensional tangled net was introduced to protect turf from erosion. The unique construction along with the unique characteristics of strength, openness, lightness in weight, and flexibility make it desirable for a number of applications. The 95% open structure of our family of matrix products allows for free movement of air, water, resins, and foam. With the help of an innovative R&D team and some unique customers this tangled mat has found it's way into many diverse areas. Products have been created by heat-bonding, gluing, ultrasonic welding, and stitching textiles, foils, and paper creating some of the most innovative and durable products in the market today. Covermaster distributes and markets EnkamatPlus and Enkamat Flatback turf protection products. Their experience in protecting turf is unequaled in the industry and has helped these product lines evolve into the carefully engineered, high-quality products offered today. 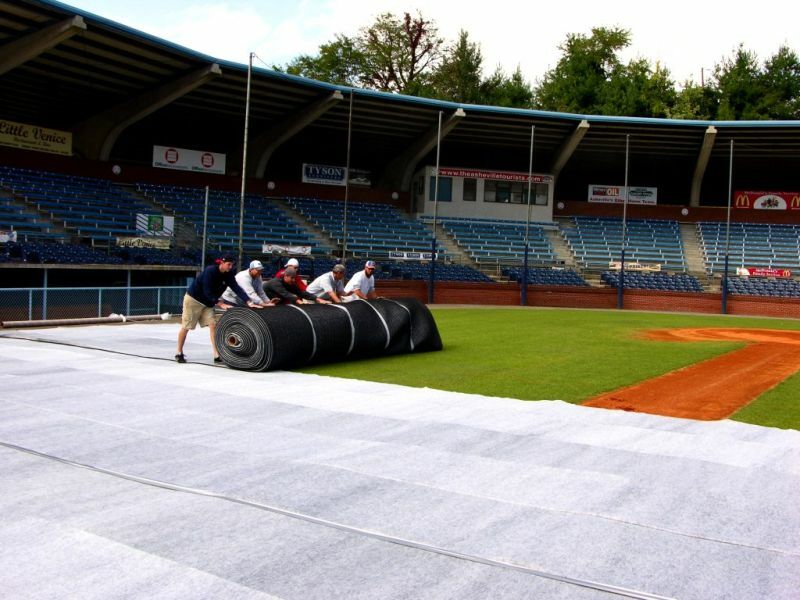 EnkamatPlus is an innovative product that provides maximum protection for natural turf fields in some of the most high traffic areas — the sidelines during football and soccer games and around the batting cages and fungo areas for baseball practices. What makes this product work so well is that it it won't crush or suffocate the grass. The open structure of the mat allows rain (and other liquids) to flow through, the grass blades to remain intact, and protects the field from unwanted down time. It is perfect for multi-use and professionally maintained fields. Made of a tough polyester fabric bonded to a special constructed three-dimensional nylon core, EnkamatPlus is the solution for keeping grass healthy and green. This flexible, open matting is the most effective protection you'll find to replace old-style tarps and polyester blankets. Installing EnkamatPlus couldn't be easier — it can be rolled out and rolled up within minutes. After the game the rolls can be easily stored in an equipment room or outdoor storage area and are reusable season after season. 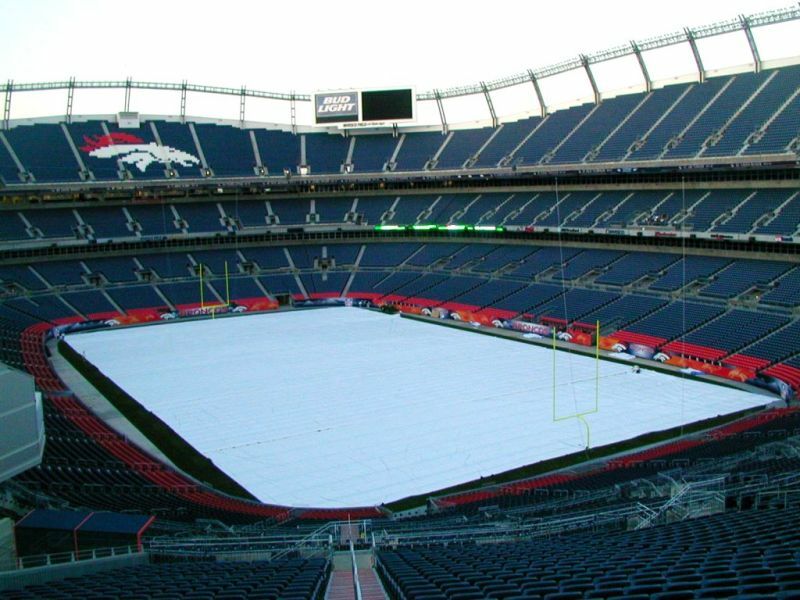 When asked if he would recommend EnkamatPlus to his colleagues Ross Kurcab, Turf Manager of the Denver Broncos replied, 'Absolutely!' It simply protects the grass better. It is softer for the players and easy to deploy. Any added expense would be saved in the first year from little or no grass repair. 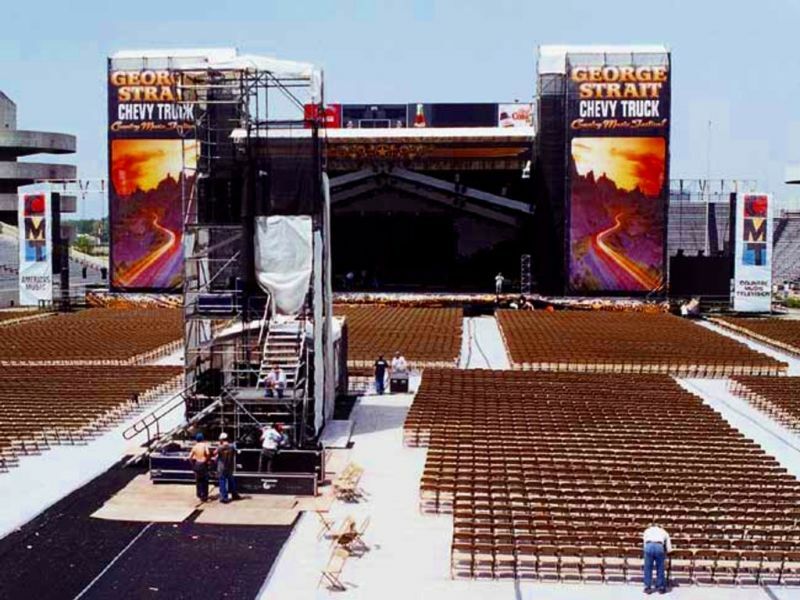 Recent trends indicate that both professional and non-professional athletic fields are being used more often for concerts and other social gatherings. EnkamatPlus and Enkamat Flatback can be your cushion of safety. The products have a Class A Fire Rating and a smooth, walkable surface. Thousands of feet hoppin' to the beat won't crush EnkamatPlus & Enkamat Flatback. This strong, yet flexible structure springs back into shape under incredible weight. In fact, when the same matrix is used in construction applications heavy vehicles drive on it all the time. So what's to worry about a mob of energetic teenagers or some beefed-up linemen? Enkamat Flatback is an alternative for field protection during non-athletic events. It can be used alone or as part of a protective flooring system. It is installed with the flat, two-dimensional side up to provide a smooth, even surface for plywood, geotextile fabric, or chairs to be placed directly on top. Equipment can be moved on and off the field with no damage to the turf. EnkamatPlus sideline matting is designed to meet all professional, college, and high-school standard sideline dimensions. The convenient 16 feet wide x 150 feet long rolls arrive at your site ready to roll out and use. No special equipment or accessories are needed for installation.